Canon EF 400mm f/4 DO IS II USM Lens w/ Trunk - Mint! Canon EF 400mm f/4 DO IS II USM Lens + PL-C 52WII 52mm Drop-In Polarizer! 3 product ratings - Canon EF 400mm f/4 DO IS II USM Lens + PL-C 52WII 52mm Drop-In Polarizer! Canon EF 400mm 400 F/4.0L F4 F4L DO IS USM Lens UV date code. Canon EF 400mm f2.8 L IS II USM Lens w/ hard case + EXTRAS-MINT! CANON EF 100-400mm f/4.5-5.6L IS II USM LENS**OPEN BOX. Trending at $6,512.49Trending price is based on prices over last 90 days. 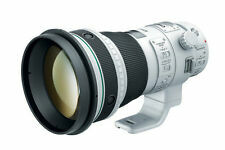 36 product ratings - Canon EF 70-300mm f/4-5.6 IS II USM Lens for Canon Digital SLR Cameras NEW!